Levitt-Safety is proud to be a Canadian distributor of Gastec’s world-class gas detection system. 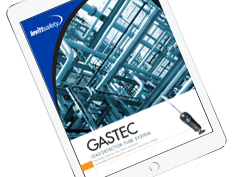 The ability to measure for over 300 different gases with an easy-to-use pump has made Gastec the detector of choice for so many workers around the world. Whether for a routine inspection or a Hazmat emergency, you can count on the Gastec line of colorimetric detector tubes to precisely identify and measure your particular gas or vapour. 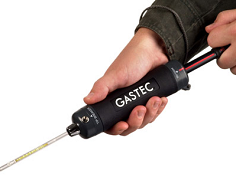 Gastec’s patented gas sampling pumps offer smooth, precise measurements with no risk of partial samples. No other manufacturer has more detector tubes certified by the U.S. Safety Equipment Institute (SEI) than Gastec. Plus, all Gastec products are manufactured in ISO-9001 certified facilities. 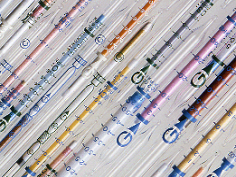 Pre-calibrated, direct-read colorimetric detector tubes offer distinct lines of demarcation for easier viewing and require no interpretation, dual scales, or color charts. With multiple detection limits for several different chemicals, the tubes can measure even trace levels of contaminants – and Gastec’s higher maximum detection limits can provide a more accurate measurement of contamination. Offering some of the broadest operating temperature ranges available, the tubes can be used in virtually any environment – from 32°F to 104°F. Levitt-Safety offers a variety of accessories to expand detection capabilities with the Gastec system, such as extension hoses, a telescoping extension pole, a hot probe, and a one-hand pump adapter. Not sure which solution is right for you? Get in touch with us today. ASK ABOUT OUR TRADE-IN OFFER!